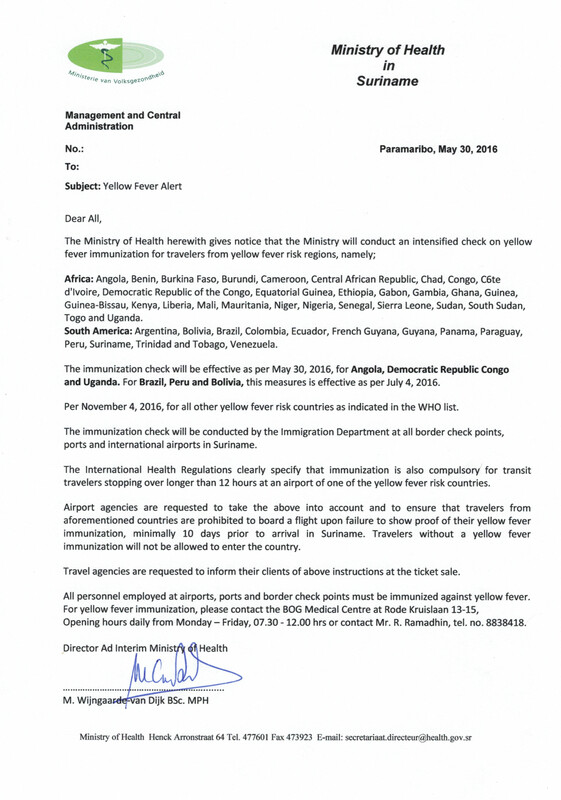 All passengers travelling from risk countries ( see list of countries WHO), and who would be travelling onboard our flights, in case they are not vaccinated for Yellow Fever, we strongly advise to have it taken within 10 days prior to travel with us. 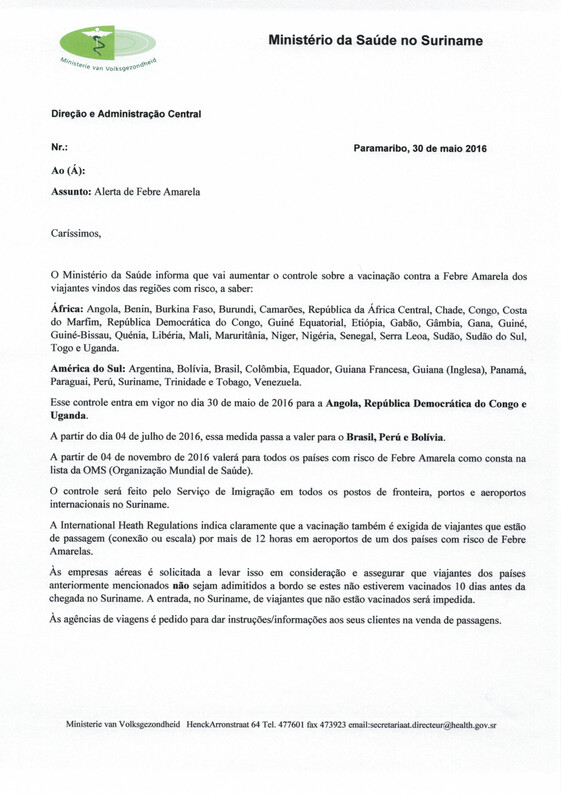 Passengers need to have the INTERNATIONAL CERTIFICATE OF VACCINATION with them at all times which needs to be presented when requested. If you fail to present this document, we would be forced to deny you travelling onboard our flight. Please click on the image below to read the official notice of the Ministry of Health with regards to Yellow Fever. 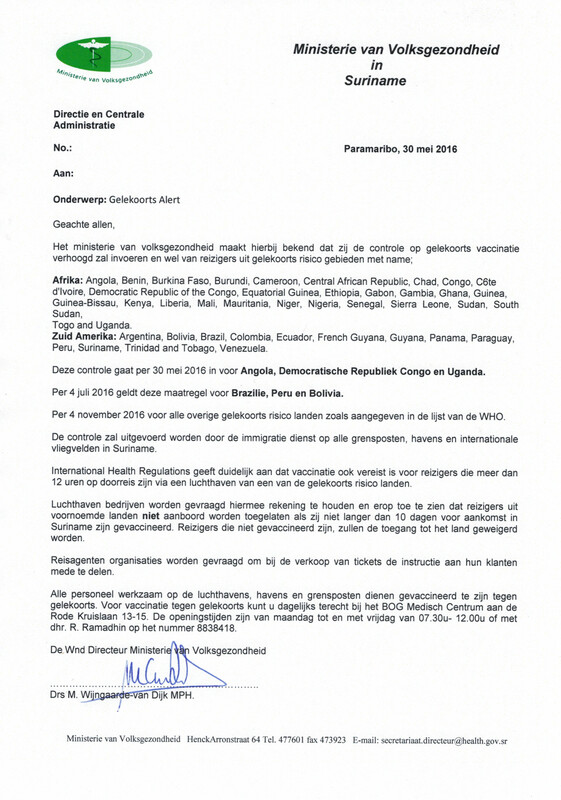 The Ministry of Health, Environment and Nature from Curacao has issued with immediate effect strict recommendations for persons travelling from and to Curacao.